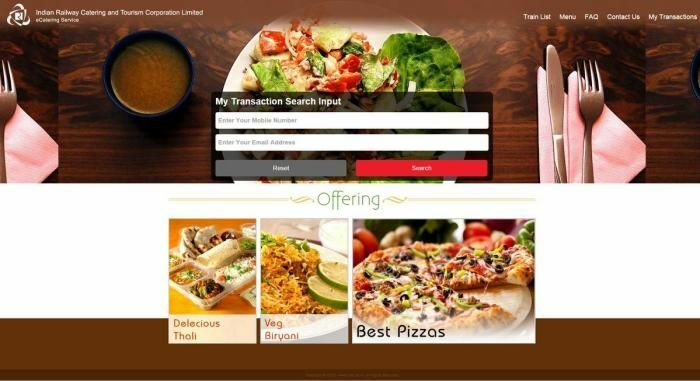 Train passengers will now find it easier to make online payments for the food ordered through e-catering with Indian Railway Catering and Tourism Corporation (IRCTC) entering into a tie-up with Paytm, a leading payment and e-commerce shopping website. Travelling passengers will have an array of choices for making payments for e-catering like prepaid (online payment) or cash on delivery (CoD) as per their convenience. Currently, IRCTC provides e-catering facility in 1516 trains without pantry cars. In addition, it provides station-based "Food On Track" facility at 45 stations including Howrah, New Delhi, Chennai Central, Mumbai Central, Delhi, Bangalore City, Patna, Lucknow, Bhubaneswar, Madurai and Amritsar among others.